Kraiburg TPE’s THERMOLAST K compound is also being used for the WOPEX colored pencil series of Staedtler. 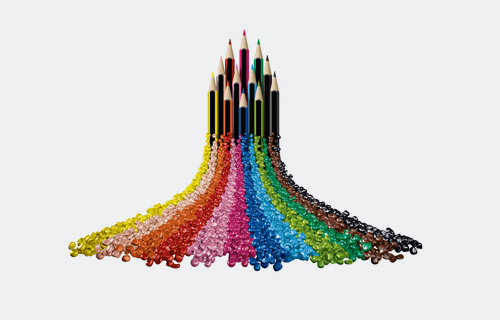 The soft compound has been used on Staedtler’s WOPEX pencil series for more than five years. The base material of WOPEX is a natural fiber composite material, whose composition is 70% wood and 30% polymers and additives. THERMOLAST K is being applied on the pencils by means of co-extrusion without the use of solvents, a process reportedly consumes less energy and produces less waste than conventional production methods for color pencils. With 24 available colors, the decorative coating made of this TPE can match the color of the lead. It also has good haptic properties, making the WOPEX pencils pleasant to hold as well as ergonomic, according to Kraiburg. THERMOLAST K is food compliant in accordance with the regulation (EU) 10/2011 and also conforms to the EN71/3 standard for toys. In addition, the materials are free of latex and polyvinyl chloride (PVC).